Sterling silver and studio art glass Danish ice bucket. The sterling silver handle marked with The Dansk Guldsmede Handvaerk Silversmiths Hallmarks. The glass measures 4.75″ x 4.25″ x 5″ high. The swivel handle stands approximately 3.5″ high, giving a maximum height to the pail of 8.5″ circa 1970s. Antique English, Sterling Silver Pair Of Cup & Covers. 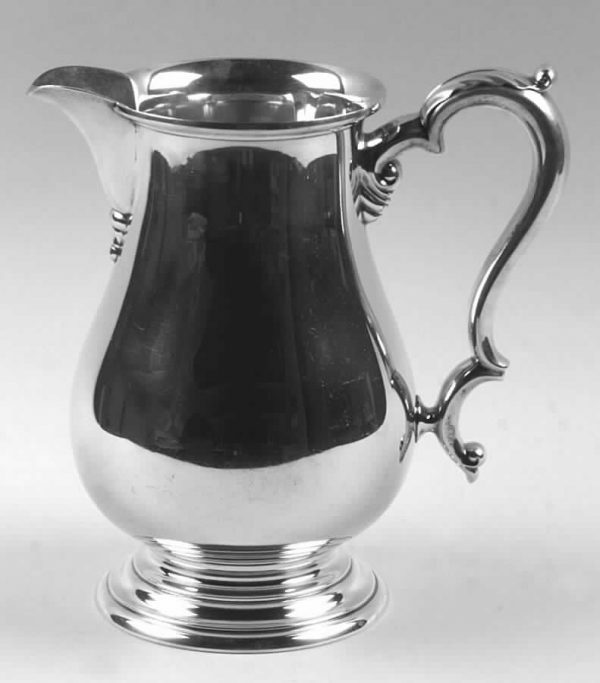 Antique English, sterling silver cup & covers in a Georgian style.Made by Charles Stewart Harris, London, 1910. Both cups are fully & correctly hallmarked, and are hand engraved on one side of each cup with a lion crest. Suitable for presentation trophy, ice bucket, urn etc. Usable with or without covers. 5.25″ x 7.75″ x 6.25″ high (4.5″ high without cover) Cups can be purchased individually. Contact us for further details. 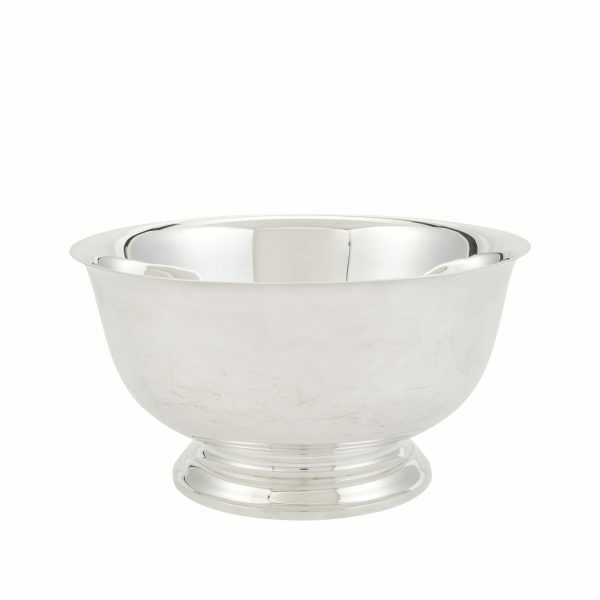 Italian, Hand Hammered, Sterling Silver Champagne / Wine / Ice Bucket With A Ribbed Campagne Shaped Body. Grape Vine Applied Rim & Cast Grape Vine Handles. The Interior Of The Cooler Has The Original Vermeil / Gold Wash. 10.5″ Tall. The Rim Is 9″ Diameter, With An Opening Of 6.25″. An exceptional quality, hand-hammered 20th century copy of a Charles II, 17th century lidded tankard. Great gift item or presentation piece Made by Richard Comyns, London, 1956. Set Of 9, Sterling Silver Overlay Coasters Made By Webster Circa 1920’s. 3″ Diameter. I Also Have The Larger Trivets In 6″, 8″ & 10″ Sizes In This Same Style. Glass Overlaid With Sterling Silver Trivet / Coaster. Made By Webster. 6 ” Diameter. Other Sizes Available. 3″, 8″ & 10″. Check My Web Site For Other Sizes. Great Novelty, Silver Plated, Cocktail Shaker, Made By Bernard Rice’s Sons Inc. Apollo, New York, Circa 1930. Standing 11″ Tall, Complete With 18 Various Cocktail Recipes, In Raised Lettering, Surrounded By Raised Grapevine Borders. Very Good Condition, With Only A Minor Dent On The Spout Screw Cover, And On The Underside Of The Shaker, Probably From The Ice. We also Purchased An Almost Identical Model That Stands At 13″ Tall. All Our Items Are Available For Sale At Our Manhattan Gallery & From Our Website. A Similar Shaker Was Listed In The July Online Sale At Christies London For $3000 to $4000. 24 Sterling Silver, beautifully hand hammered American goblets with the quality & style of George Jensen. Each is 4.75″ high. The goblets are of a cylindrical hand hammered cup over openwork blossom design above a circular foot. Each cup is marked “Sterling”.